I know you clicked to read this thinking that it was a Hot Dog with a side of Mac and Cheese, wrongooo. 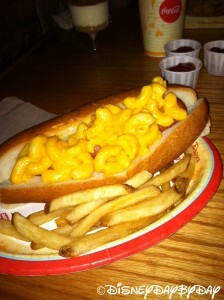 This is a hot dog covered in Mac and Cheese in a bun. Yes, together in a bun and yes it’s messy and yes it’s good. 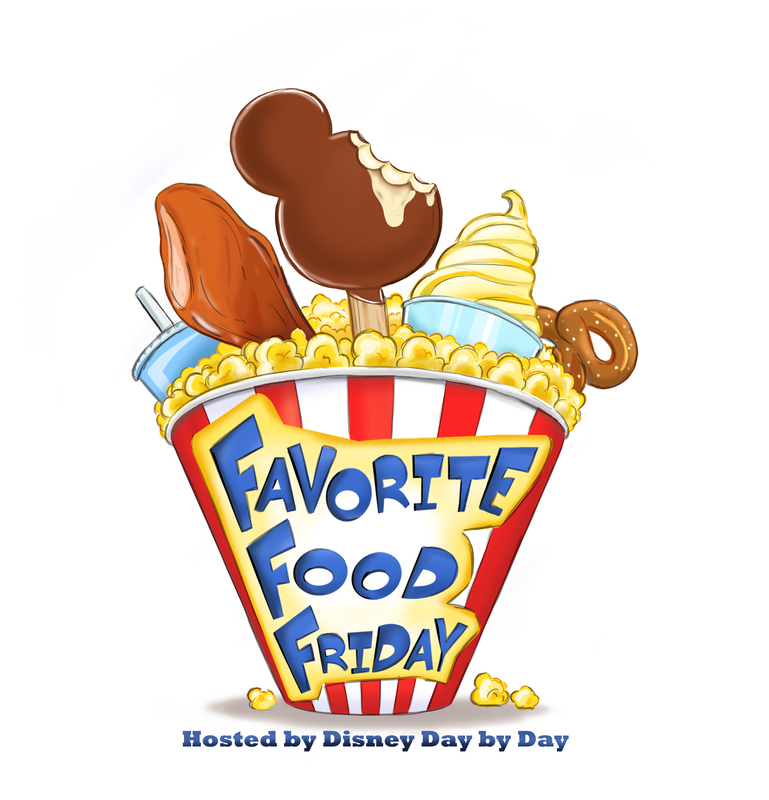 Did you know that Disney’s Mac and Cheese goes through a kids taste test and it’s wonderful, if you haven’t tried it at any location you need to. Before you go into a food coma, don’t forget to enter a couple great GIVEAWAYS! Get the InLinkz code and add it to your post. Oh my goodness! I LOVE macaroni & cheese. I am definitely going to have to try this on my next Disney trip! Thanks for hosting! Oh man, I am in trouble. 🙁 Depsite sounding kind of nasty, that mac and cheese doggie looks so darn good!!! My kiddos are gonna be all over that. Add in some veggie dipping sauce and you have the perfect meal! Oh that looks delicious! I have to add it to my Disney foodie list!! Thanks so much for hosting the hop! That would put me in a food coma for sure, but it would be well worth it! We haven’t hit Restaurantosaurus since it stopped serving McDonalds. Maybe it’s worth a try! Thanks for hosting!